My company was very pleased with the results and couldn’t be happier with our choice to go with Affinity. I will be sure to call them again when I need any painting services, as well as refer them to anyone else who does. ~Jimmy N.
We’re a full-service commercial painting contractor, providing all the services necessary to protect, beautify, preserve, and improve the value of a property. 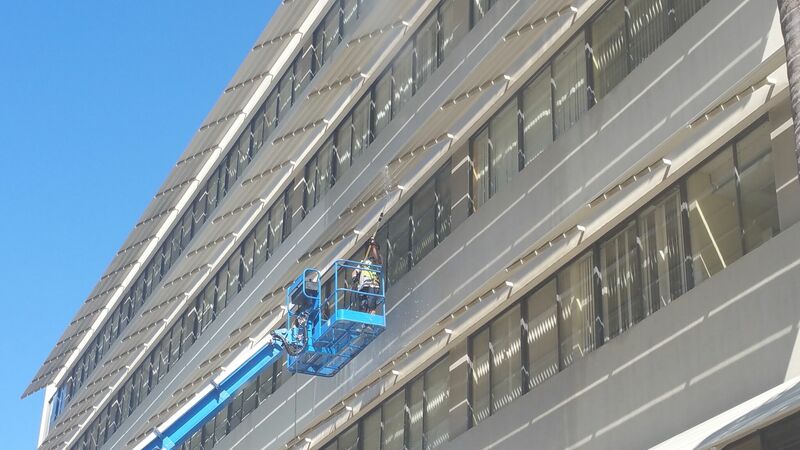 We have the specialized, equipment, expertise, and deep understanding of the unique needs of commercial painting and surface treatments to complete your project on-time and on-budget. We’ve successfully contracted for services with such great companies and organizations such as Residence Inn LAX, Playa Pacific, Ann Taylor, Covina Hospital, UCLA, Boeing, Marriott, and City of Burbank to name a few. We are proud of our clients – they define our company and commitment to excellence. Commercial	Overall rating:	5	out of 5 based on 4	reviews.